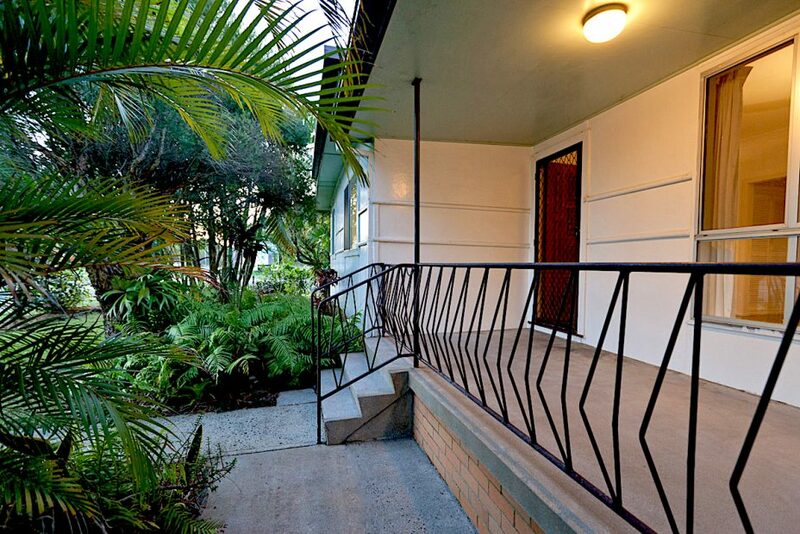 Rons Beach House, Byron Bay Holidayz Online Reservations. 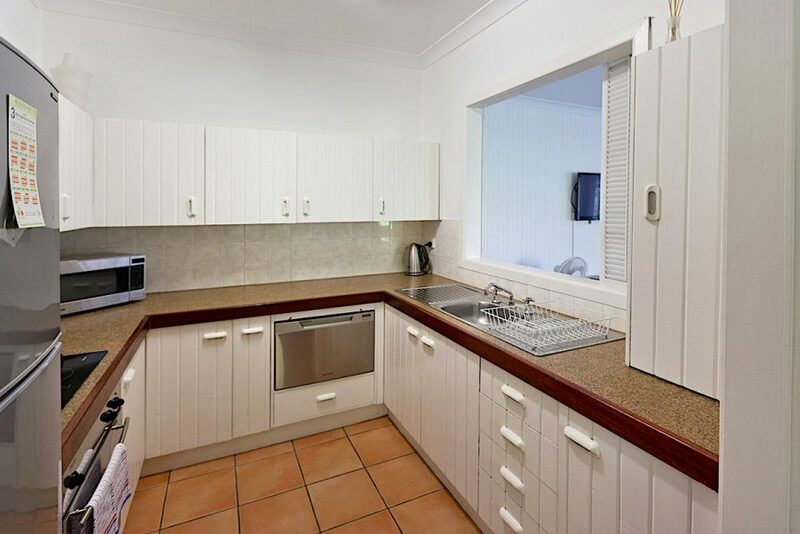 4 bedroom, pet friendly, holiday house close to Belongil beach with Swimming Pool. 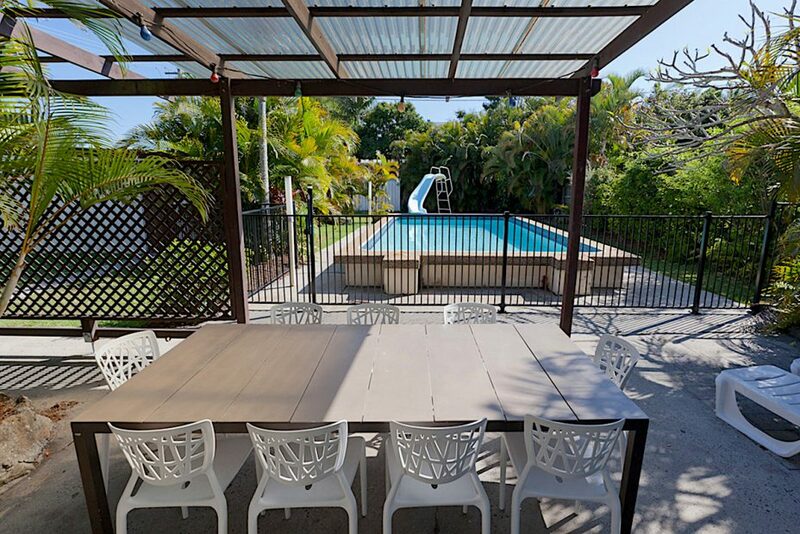 Ron’s Beach House has 4 bedrooms + 1.5 bathrooms and is located only 10 minutes walk from the Byron Bay town centre and a 2 minute walk to beautiful Belongil Beach. 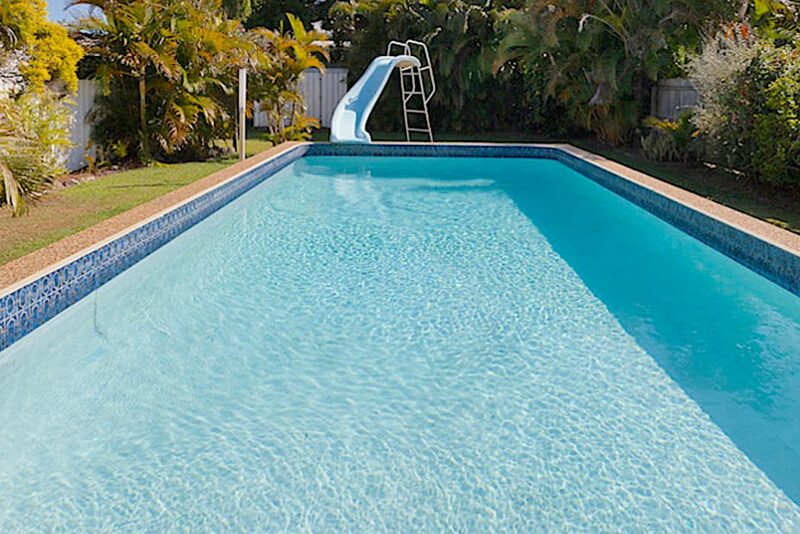 The house also boasts an exceptionally large back yard and swimming pool, complete with retro water slide, perfect for families with young children. 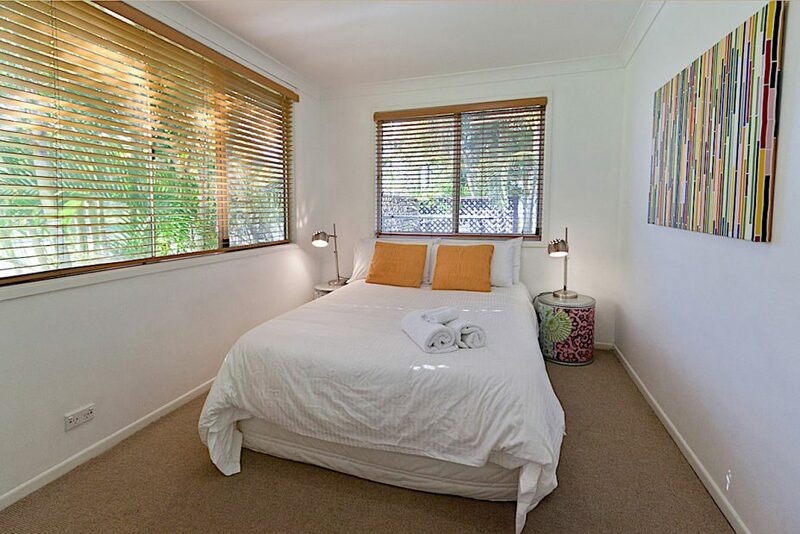 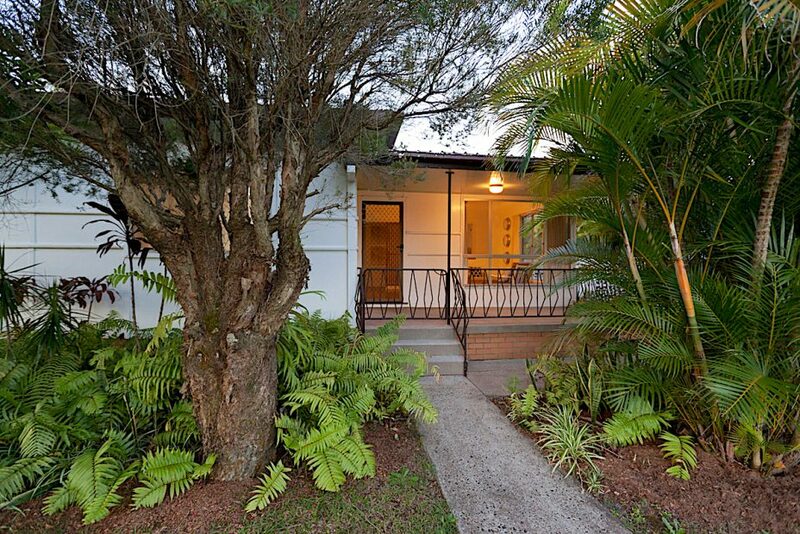 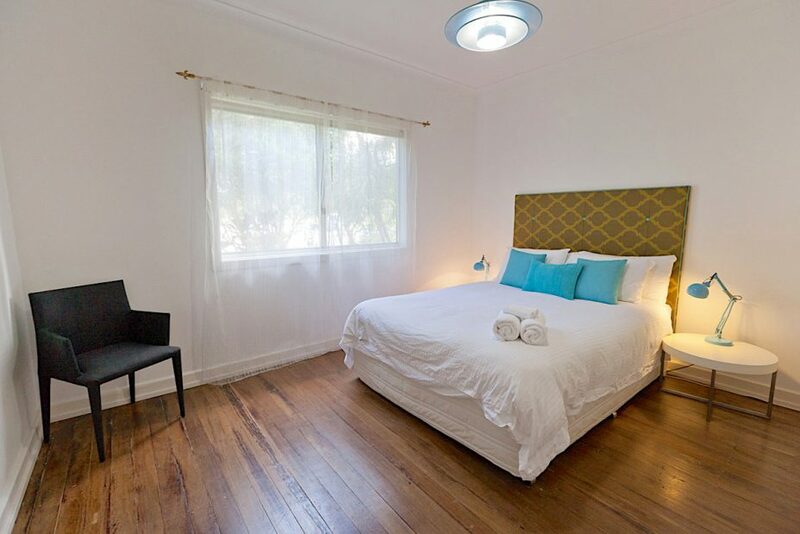 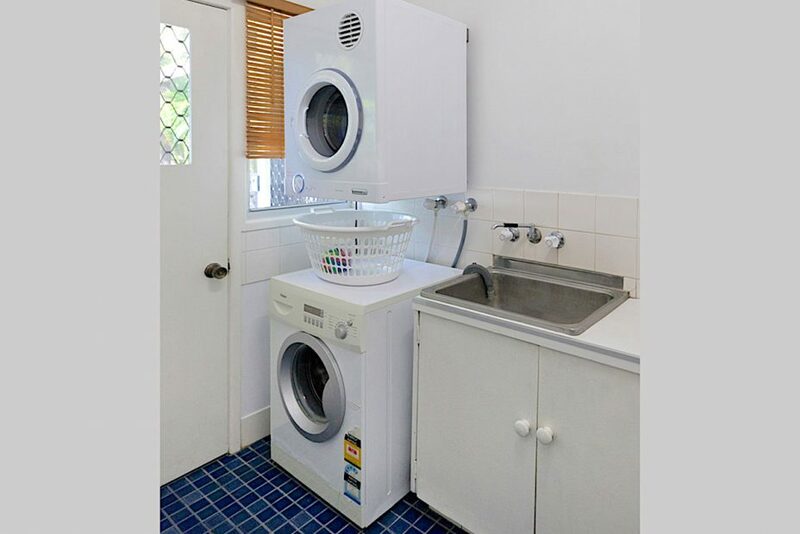 This Byron Bay pet friendly property is the perfect retreat for families or friends sleeping up to 10 guests in complete privacy and within walking distance to all that Byron Bay has to offer. 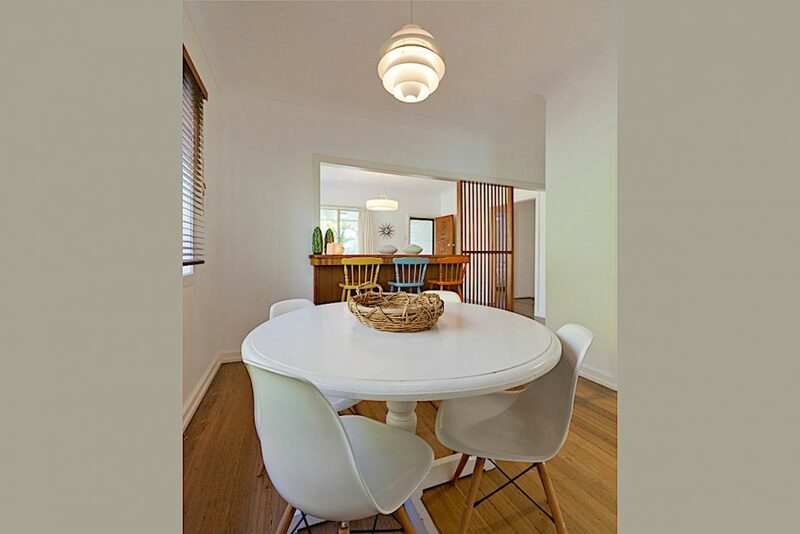 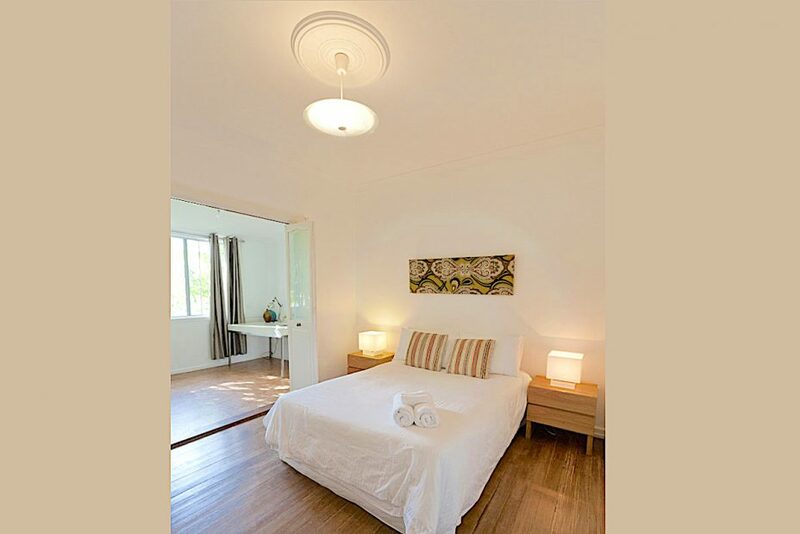 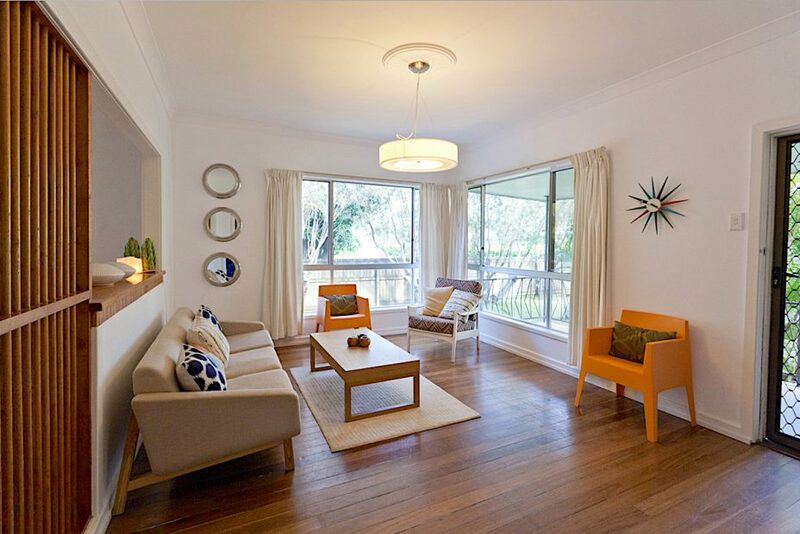 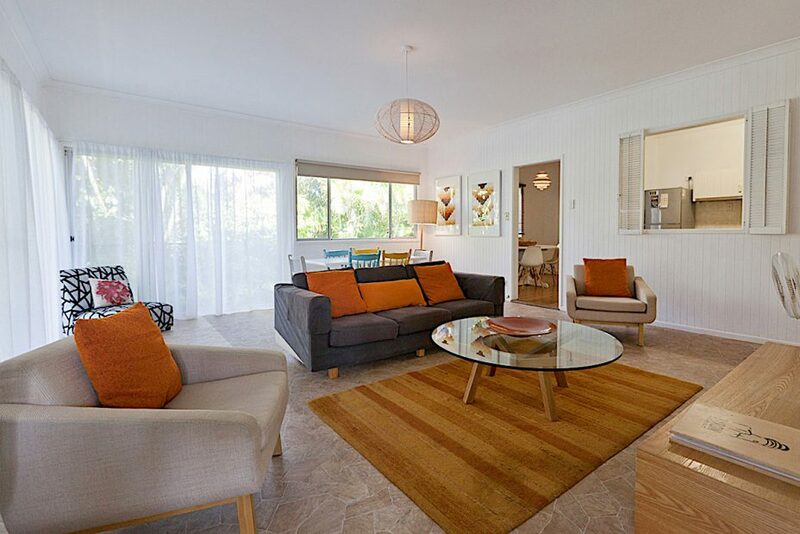 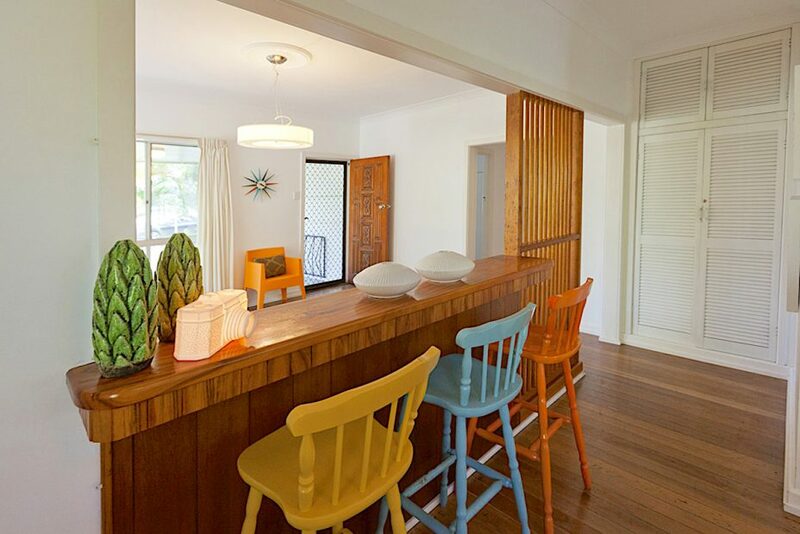 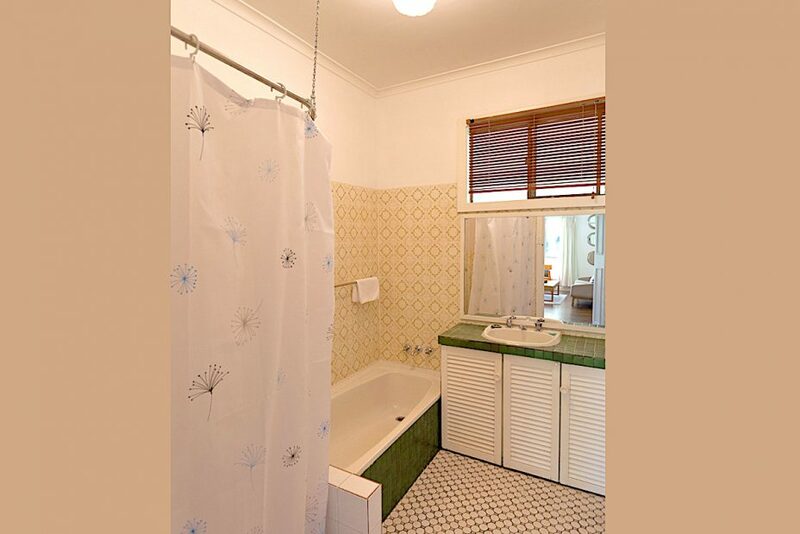 The comfortable, airy, open layout of Ron’s Beach House is decorated in a retro style and colour scheme.